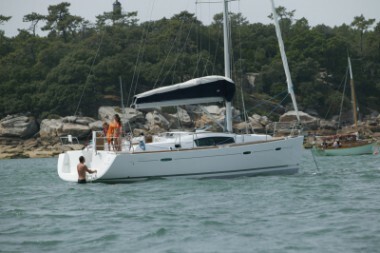 $2,450 per week Off Season: 10th July - 5th November. 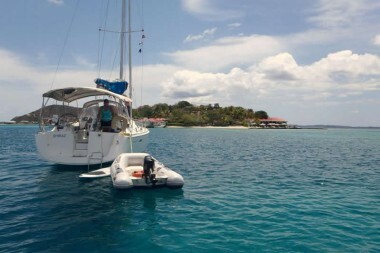 $2,650 per week Low Season: 1st May - 9th July and 6th Nov - 15th Dec.
$3,200 per week Mid Season: 2nd Jan - 31st Jan and 1st April - 30th April. 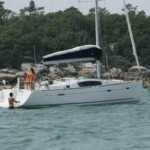 $3,800 per week High Season: 16th Dec - 1st Jan and 1st Feb - 31st March. 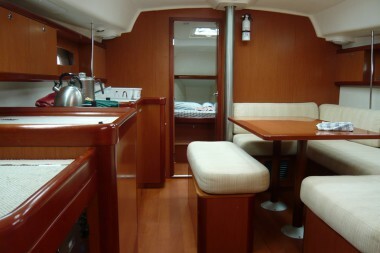 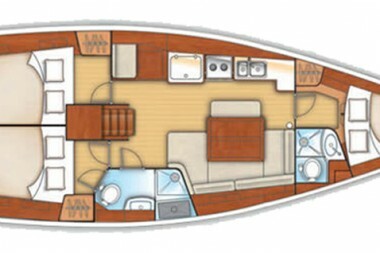 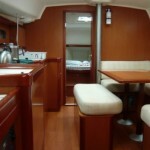 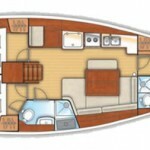 The Beneteau 40, Shiraz, is beautifully designed throughout. 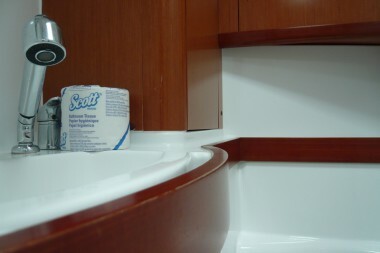 Her fine lines, created by the design team Berret/Racoupeau, grab your attention from the onset. 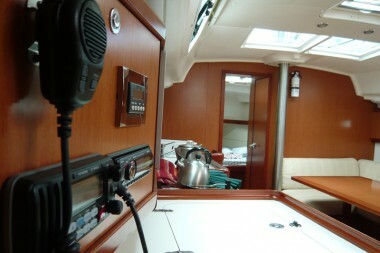 The large cockpit features twin wheels, Raymarine instrumentation, including chartplotter, and sail control within easy reach. 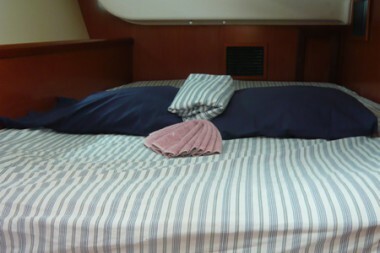 Shiraz has a roller furling headsail and a classic slab reef main sail with lazy jacks, making it simple to raise & lower the sail. 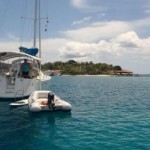 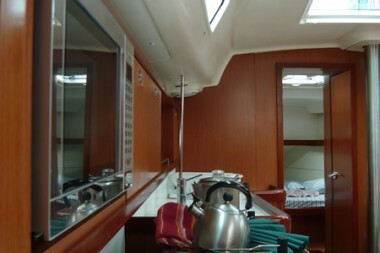 Other features include an electric windlass, inverter and hot/cold cockpit shower. 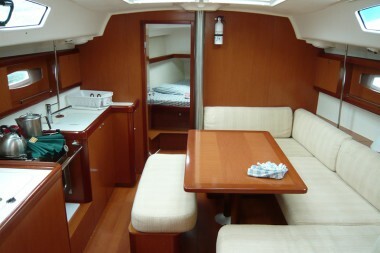 The luminous interior is enhanced with a rich light coloured Maobi hardwood and accented with stainless steel. 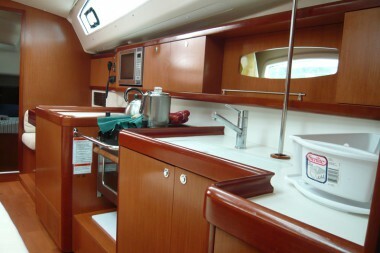 Several opening ports and hatches provide ample ventilation and natural light throughout. 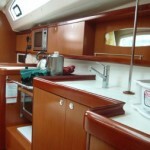 The port side galley is equipped with everything needed to make meal preparation a pleasure-chest type refrigerator/freezer, two-burner stove with oven, ample storage and counter top. 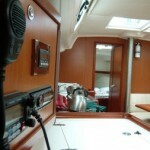 A microwave can be used while on shore power. 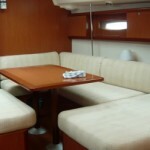 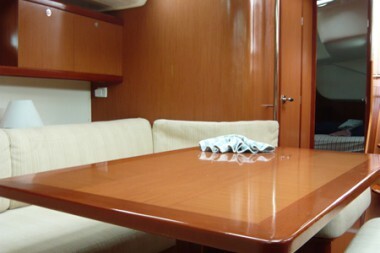 The saloon has a U-shaped settee with comfortable upholstered cushions and a large dining table. 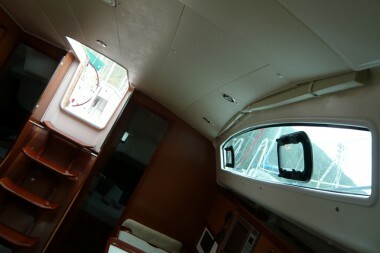 The large panoramic windows give an airy feel to the surroundings. 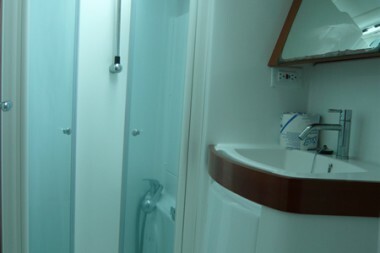 The forward cabin has an en suite head and shower. 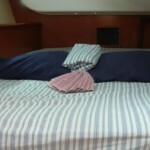 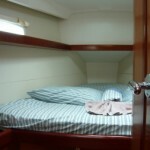 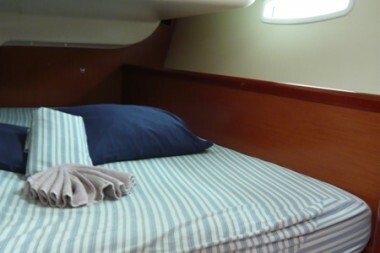 Two identical guest cabins, with queen size beds, are located aft. 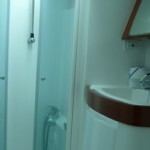 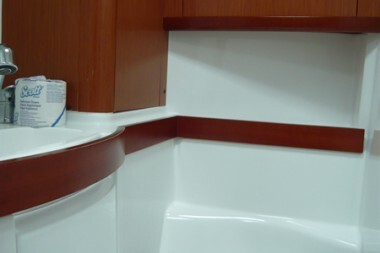 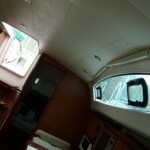 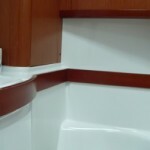 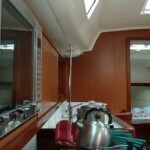 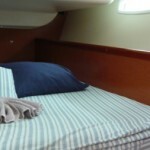 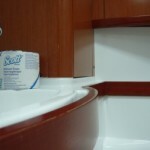 The starboard head, with separate shower compartment can be accessed through the starboard aft cabin or salon. 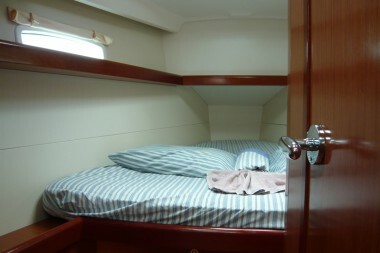 All three cabins have reading lights, hanging locker, generous storage compartments and an opening hatch and fan for good air flow. 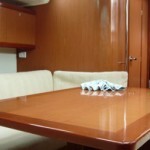 The salon table configures to a double bed, if extra bunks are needed. 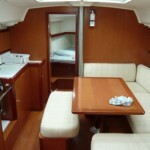 For added comfort while in a marina, you will appreciate the shore side air-conditioning. 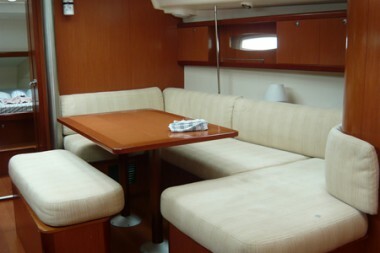 With her large cockpit and spacious interior, Shiraz is an excellent choice for three couples or a family.